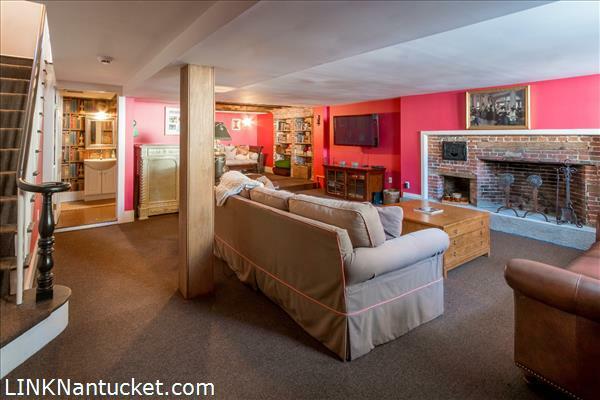 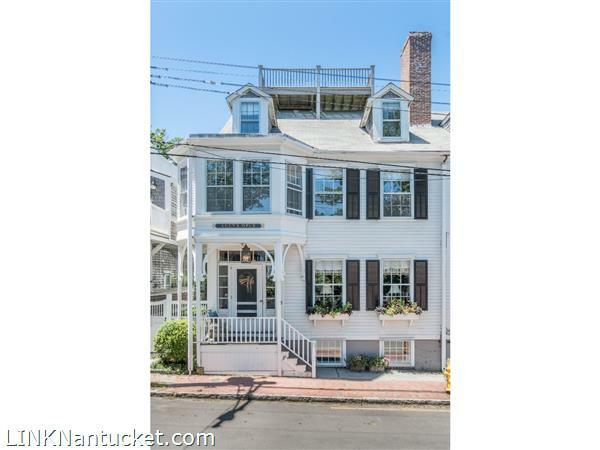 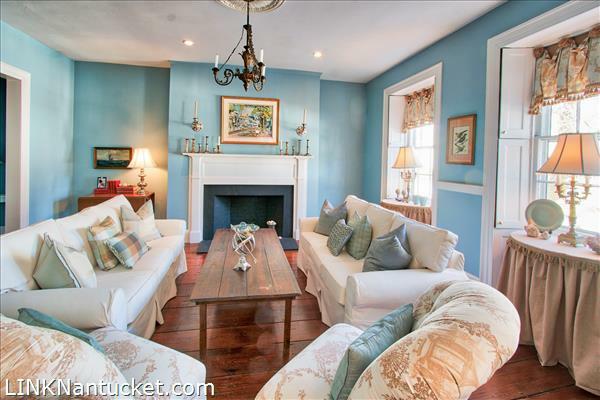 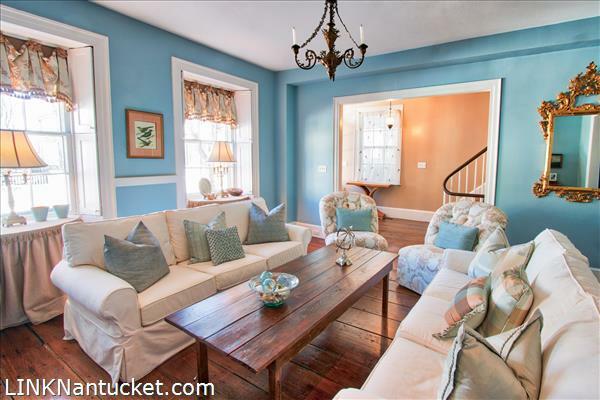 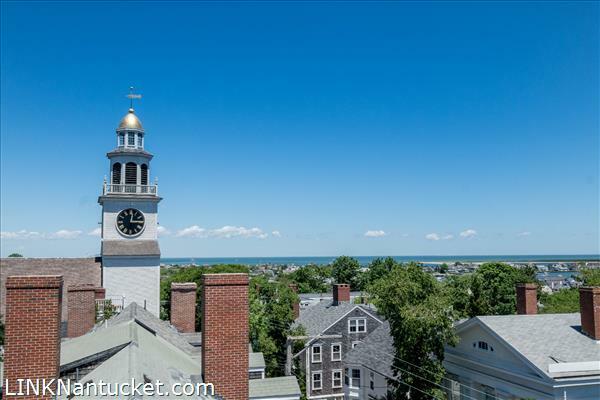 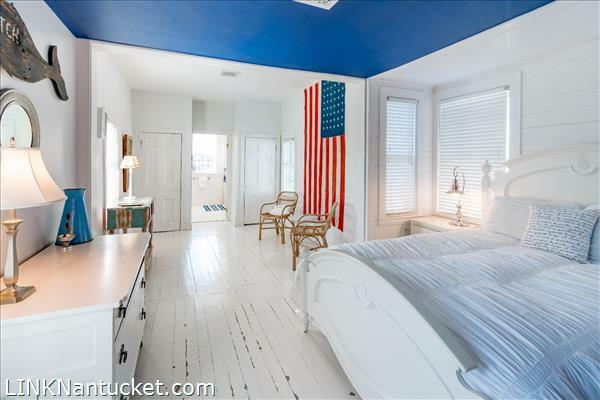 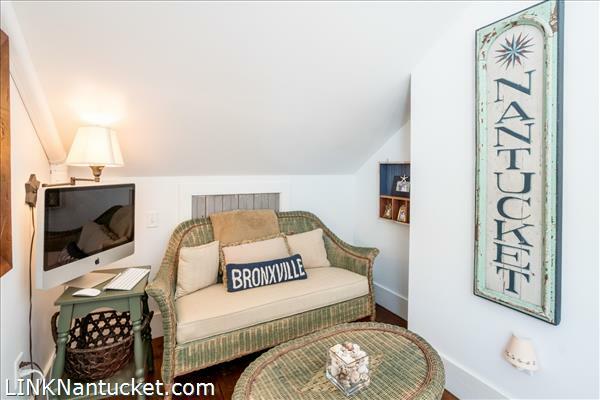 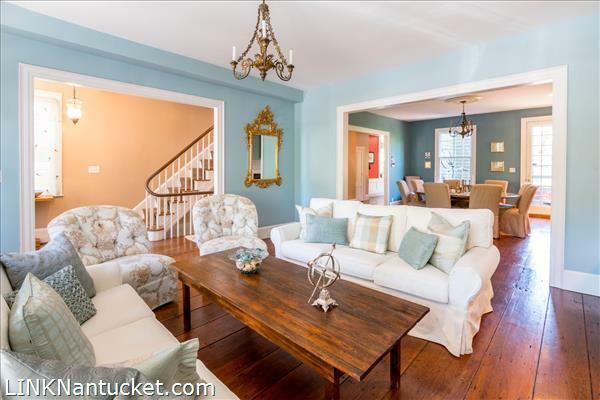 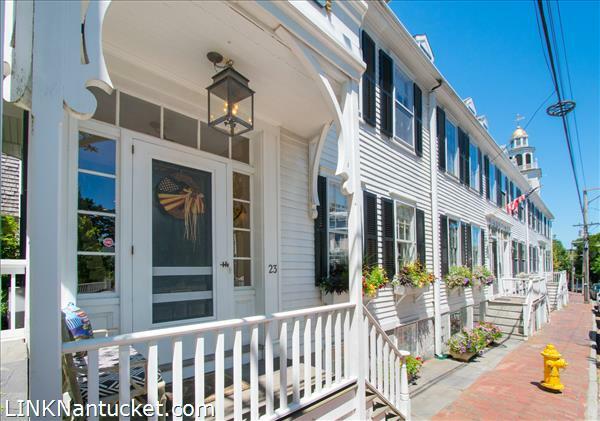 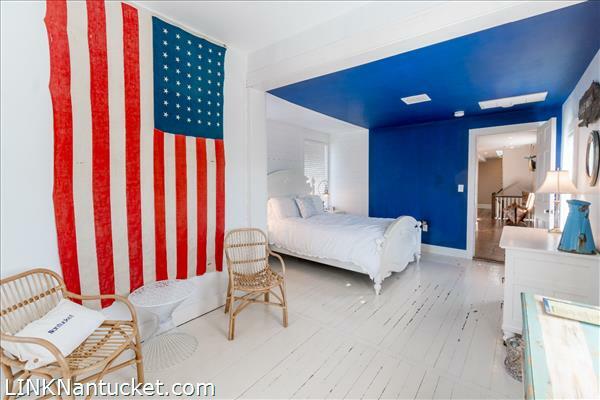 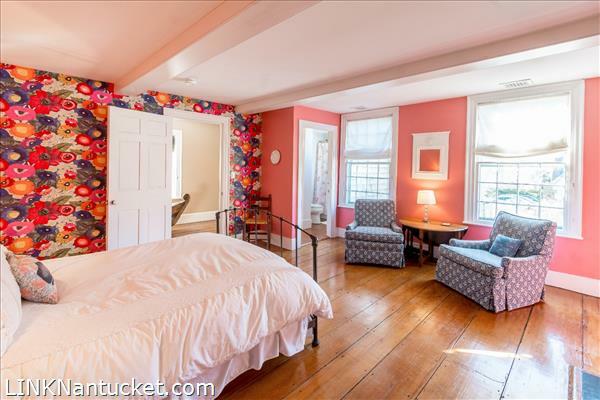 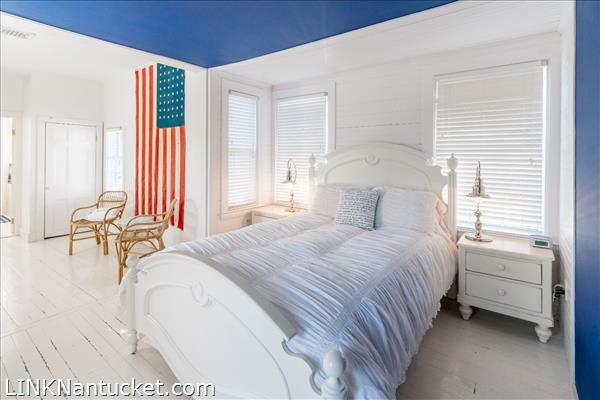 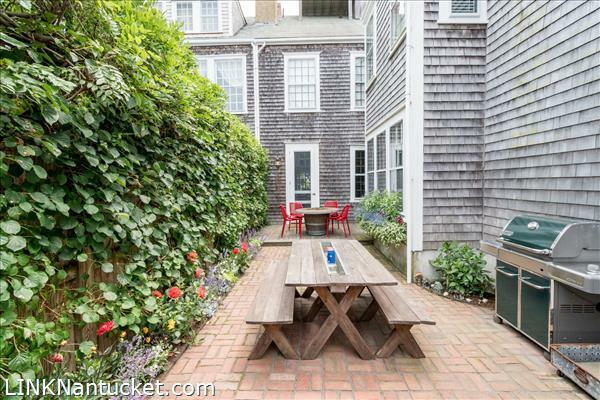 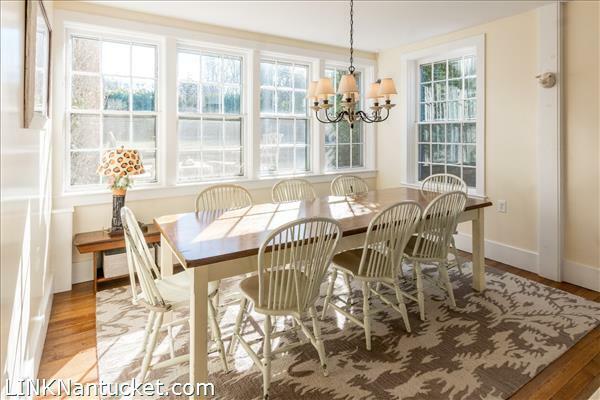 Description: Located moments from Main Street and Nantucket harbor, this beautifully restored family home has a storied past and is the largest of the Historic Folger Block Row Houses, with four finished floors. 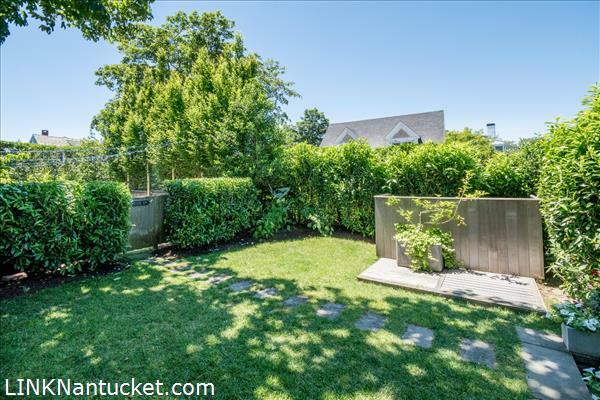 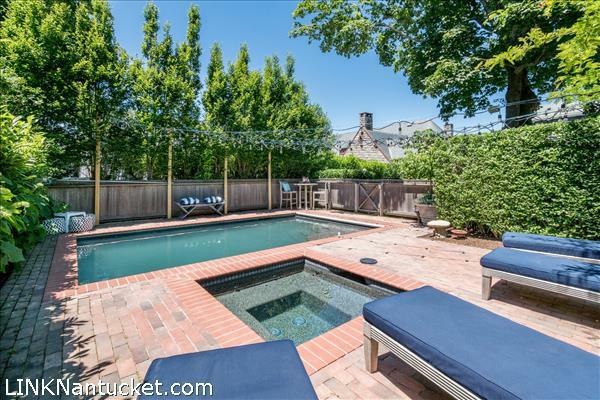 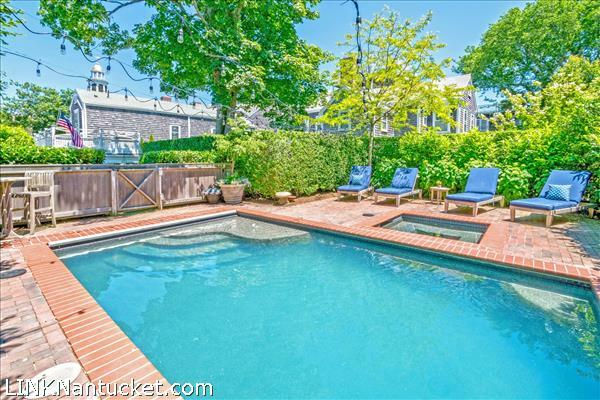 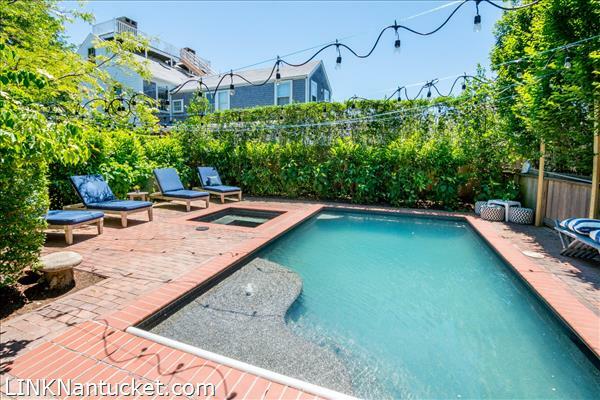 One of the most notable highlights is the highly coveted private pool and spa, now a thing of the past on any property located in the downtown Historic District of Nantucket. 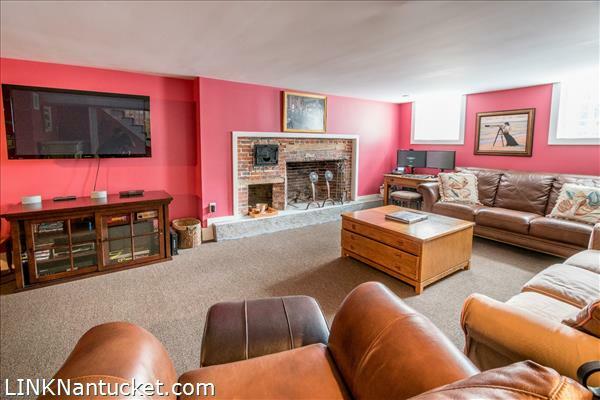 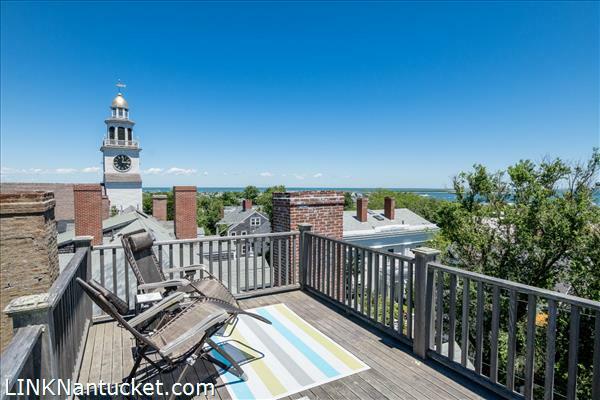 With over 4,000 square feet of living space, this stunning five bedroom home offers multiple living spaces, views of the harbor and has an excellent rental history. 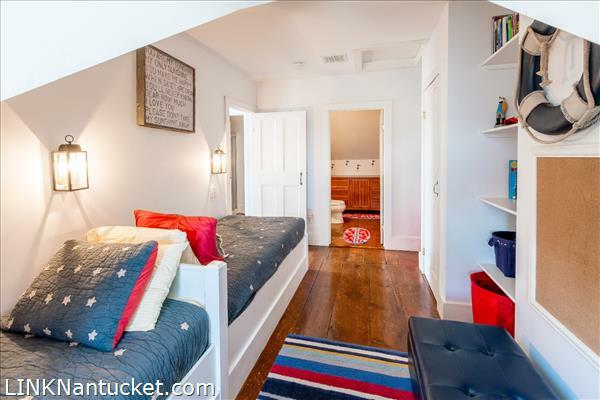 First Floor: What immediately stands out when you walk through the front door is how high the ceilings are. 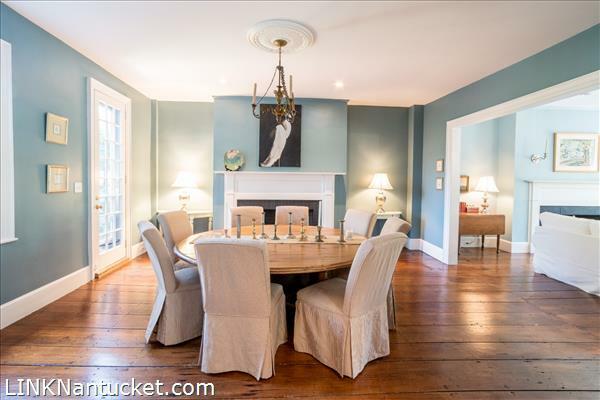 The welcoming foyer extends all the way to the kitchen, and opens to the right into a formal parlor with one of the five fireplaces in the house. 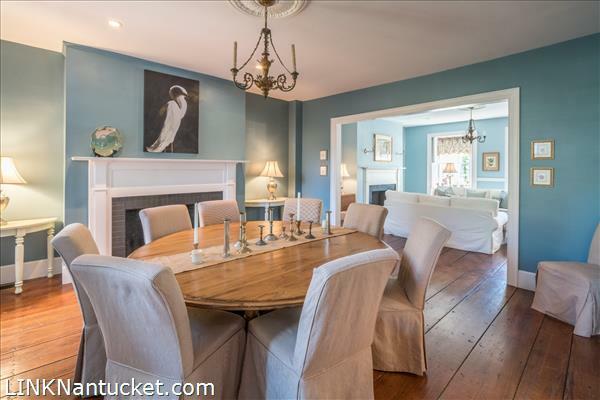 The formal dining room is an extension of this room and as well as a fireplace, has large windows and a French door leading out to the gorgeous brick patio with outdoor dining, a fire pit and outdoor shower. 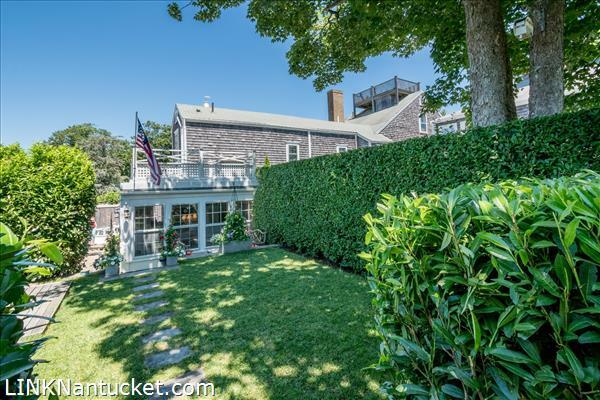 As you head toward the back of the home, you enter into a comfortable den with almost floor to ceiling windows on both sides that let in an abundance of light. 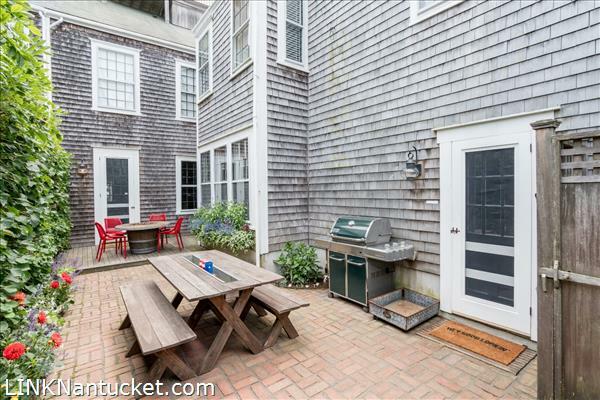 From the den, you pass through a galley area with a wet bar and another door that leads onto the outdoor patio. 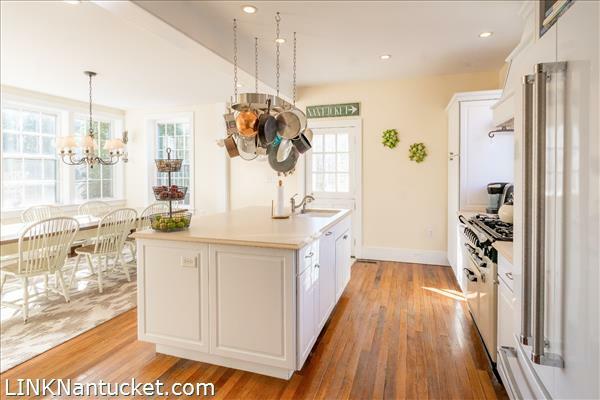 The kitchen is spacious and bright with oversized windows overlooking the yard, and encourages family gatherings with an informal dining area. 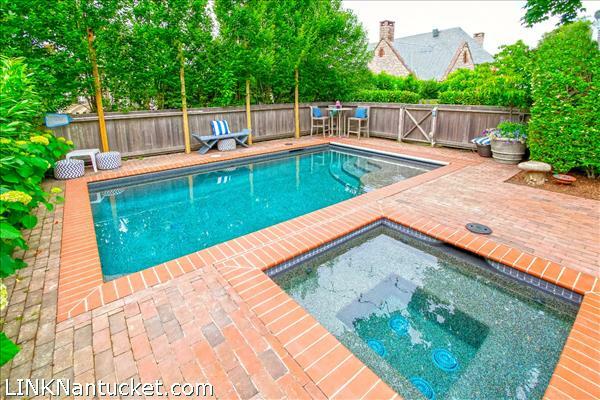 A Dutch door opens to the manicured back yard, pool, hot tub and off street parking. 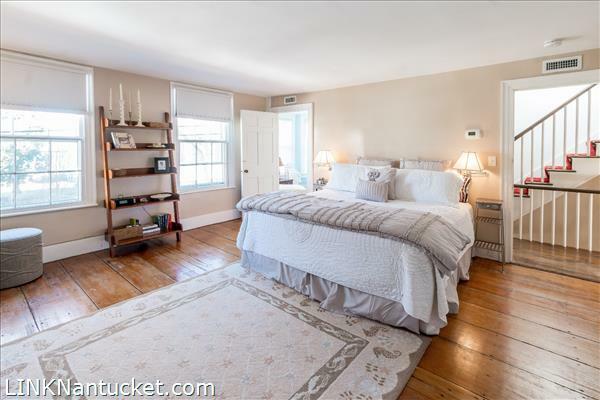 Second Floor: There are three very generous sized bedrooms on the second floor. 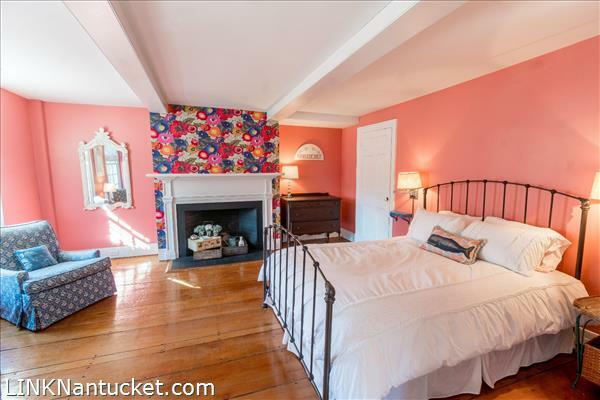 A master bedroom located at the front of the house with peaks of the harbor, has a fireplace, a large private bathroom with double vanities and a glass tiled shower. 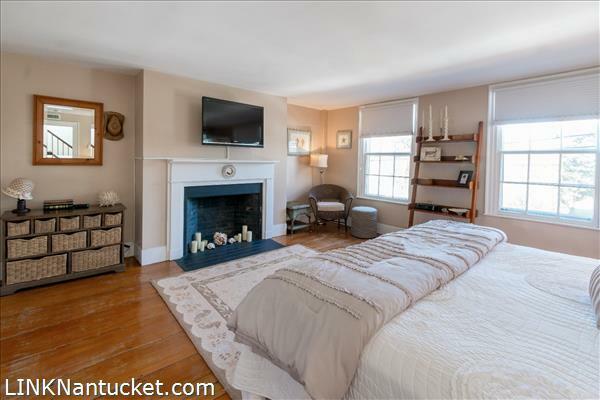 A second bedroom has a sitting area with a fireplace and a private bathroom with tub/shower. 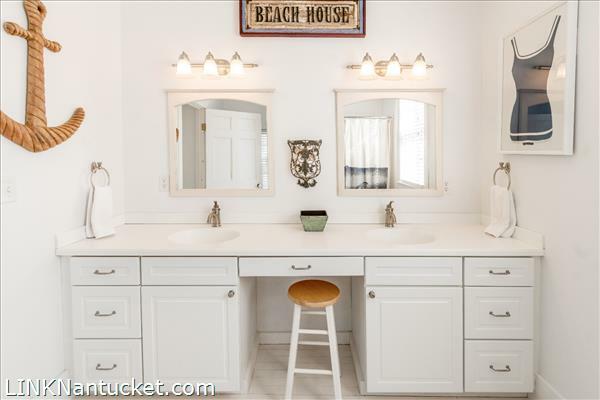 The guest suite located toward the back of the house has a sitting area, multiple windows and a private bathroom with double vanities and a tub/shower. 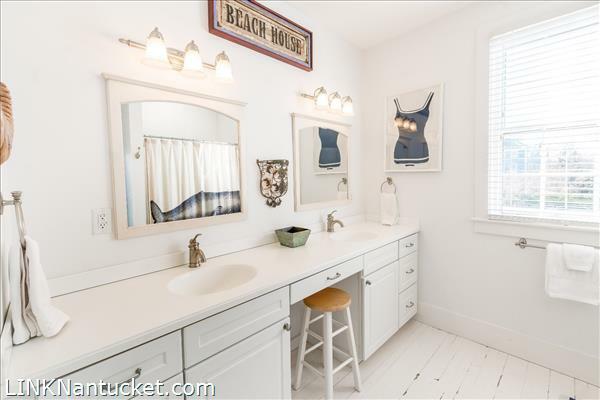 A laundry area completes the second floor. 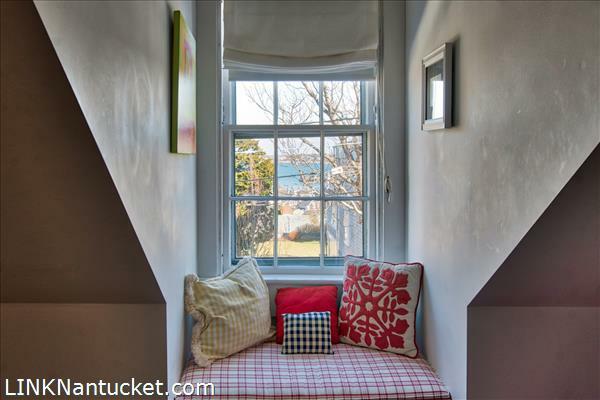 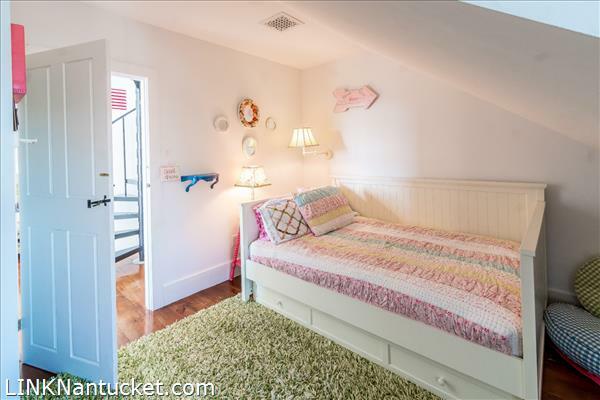 Third Floor: There are two bedrooms on the third floor, both with window seats that have peaks of the harbor. 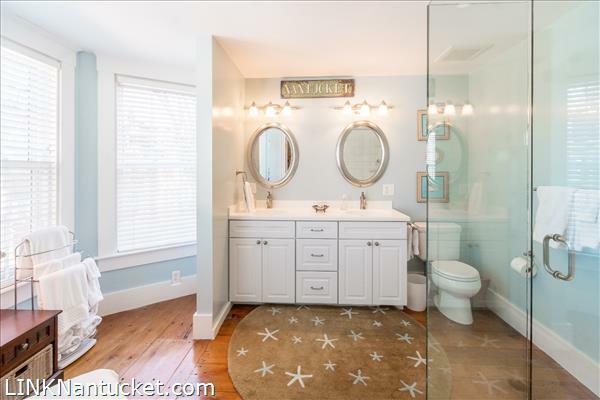 There are two bathrooms, both with showers, one that is en-suite and one that is located across from one of the bedrooms. 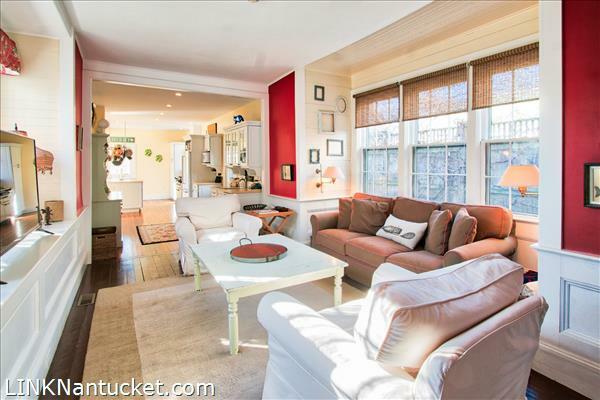 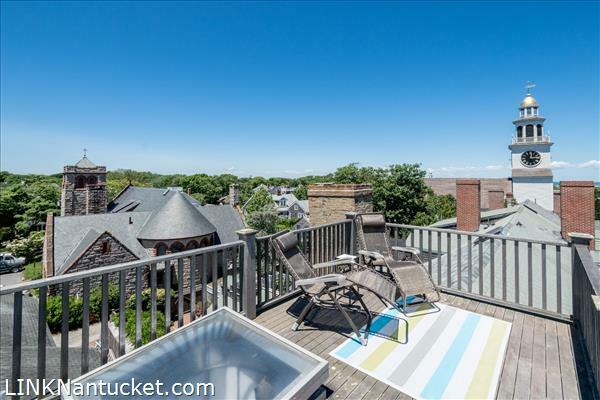 Access to the widows walk, which has stunning views of the harbor and Town, is on this level. 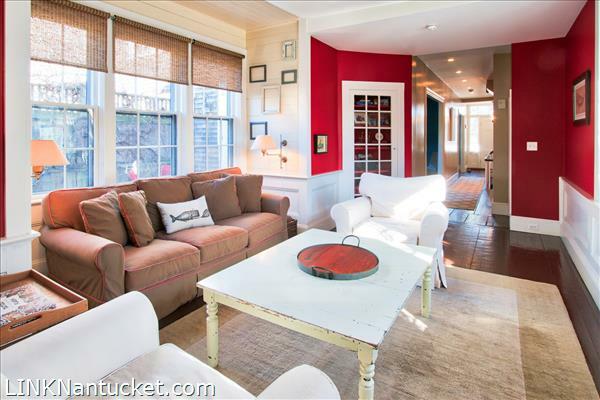 A small sitting area completes this floor.